The history of schooling in the west of Exeter, is long and complicated, dating back as far as 1632 and 1642 when William Gould of Hayes paid for a schoolmaster for 24 poor children, and the will of Robert Pate, who provided 30s in funds for a schoolmistress for four poor children. The former bequest was last paid in 1849 according to a mention by the St Thomas School Board in December 1872, and it is to this beginning, that the present schools west of the Exe can be traced. 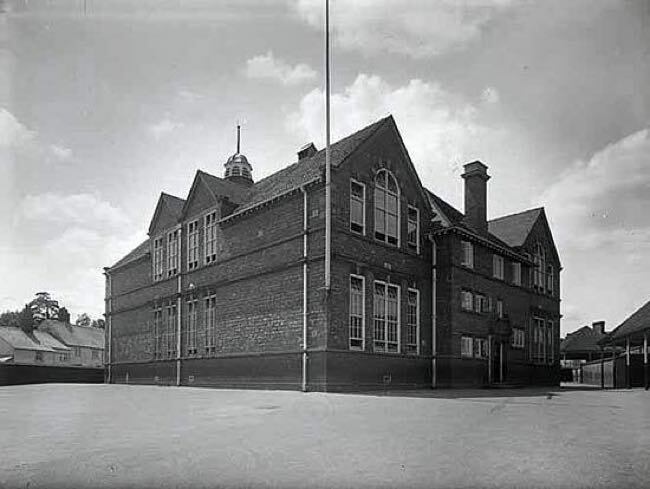 The School Board for St Thomas was formed on 16 March 1871 as a result of the introduction of the 1870 Education Act. By the turn of the century, the population of St Thomas was increasing and an existing Boys School at the end of Cowick Street was becoming overcrowded, necessitating the Board to draw up plans in 1899 for a new school a few metres up Dunsford Road, on the former site of the St Thomas Lunatic Asylum, which had moved to Wonford in 1869. In 1900, the Department for Education approved the plans for four schoolrooms to accommodate 620 boys, at a cost of £9,500. Before the new school opened on 13 January 1902, the St Thomas Board was closed as St Thomas was incorporated in Exeter, and taken over by the Exeter School Board, which became the City Education Authority following the 1902 Education Act. A headmaster's house was built on the opposite side of Dunsford Road, on the corner of Cowick Lane; it still exists today, the only part of the school to survive into the 21st Century. "When leaving Dunsford-road School Monday, a boy named Western playfully jumped on the back of another boy named Bertie Milford, throwing him down. the fall the bone Milford's right thigh was broken. P.C. Farrant and Mr. M. Browning, the caretaker, rendered first aid, and conveyed the lad to the Hospital in a trap belonging to Mr. Brown, of Dunsford-road. was attended to by the House Surgeon." Dunsford Road School educated local boys through the First War, until 1921, when, as a tribute to 50 years service on the School Board and later, the Education Committee, it was renamed the John Stocker School, after a unanimous vote by the Education Committee. John Stocker, OBE JP was a builder in Cowick Street, who was born in January 1848, and served on various education boards from 1871. Dunsford Road School was selected to be renamed as its original construction was promoted by Councillor Stocker. "Just as he was leaving the Mayor mentioned that a large number of school children would be drawn up near the Dunsford-road school on his way out of Exeter. His Royal Highness said he would look out for them, and would have the car driven slowly as he passed... Along the street the Dunsford-hill end the school children of St. Thomas, the number of over thousand, were lined up under the head teachers. Mrs. Cornish. Miss Lucraft, Miss Newcombe. Miss Chinneck, and Mr. Hodge.and as the Royal car came along cheered lustily." On 1 September 1931, a reorganisation of schools in St Thomas saw John Stocker School split into John Stocker Senior School Boys and John Stocker Junior School Boys, in separate buildings on the same site. 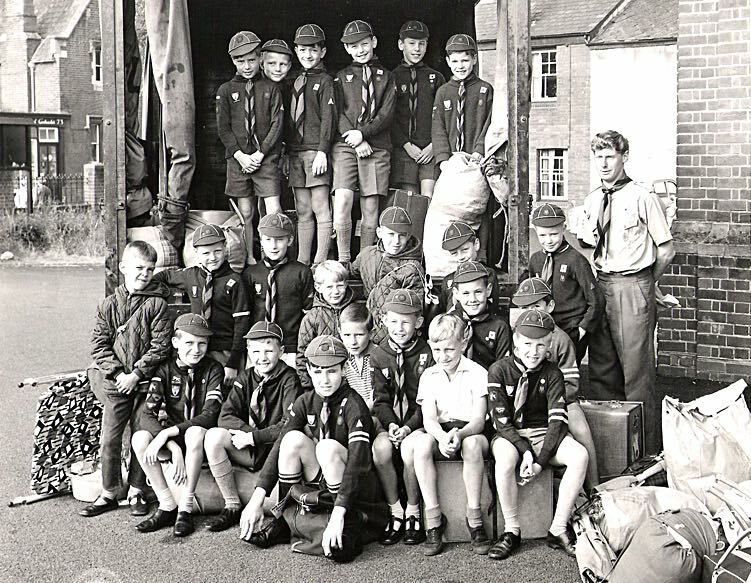 A year later, on the 29 August 1932, an expanding roll necessitated the school creating a temporary junior boys department in the old Exe Island school for 174 juniors under 11 years old. A school split into two sites is never easy to administer and in 1937 a new school building was constructed north of the old John Stocker buildings in Dunsford Road, but with access from Buddle Lane, while the old building was retained as an annexe to the main school. The foundation stone was laid by Councillor Stocker who was Chairman of the Education Committee. The new premises had buildings for a Senior school of 360 boys and for 44 Juniors. The cost of the purpose built premises was £20,500. 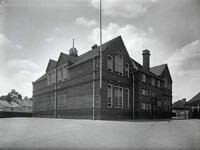 Further enlargement of the school took place in 1949 and 1954. After war broke out on 3 September 1939, whole schools were evacuated away from possible bombing in London. A party from the Archbiship Sumner Church of England Primary School, consisting of 84 boys, their head teacher, and 91 girls and their headmistress, along with seven teachers, were evacuated to Exeter and occupied, on a half-time basis, buildings at John Stocker School. It was a short period of sharing, for by January 1940 they had moved out into St Thomas' School. Another school, this time the Borough Polytechnic, also shared the school for a time in the early months of the war. 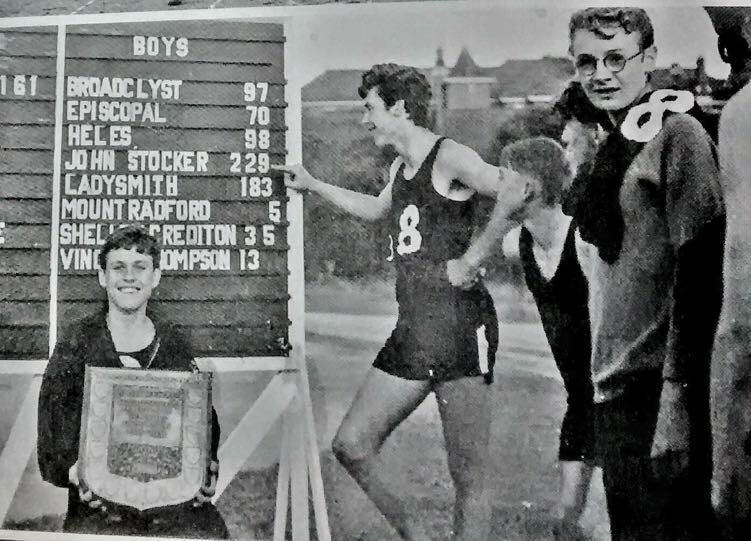 Boys in John Stocker School became involved in the war effort and in May 1941 it was reported that they were 'digging for victory' on two acres of land by planting vegetable seeds. The headmaster Mr Percy Nicholls and Mr Lock, a teacher conducted the Chairman of the Allotments and Horticultural Committee of the City Council around the vegetable plot. Another area of land was grassed over for recreational purposes. During the Second War, reports appeared of former John Stocker boys exploits in the various theatres of war, such as Sapper Tom Boddy who was reported a prisoner of war in a Japanese camp, while Corporal Trist of the RAF was reported missing after Singapore fell. Private Stanley Horace Richards gave the ultimate sacrifice when he died at sea off Dunkirk in 1940. Signalman Symmons, serving on HMS Aurora, a former pupil of the school, sent his parents a lemon, included in a parcel of fruit, from wherever the ship was serving. This was such a novelty in 1943 that it was sold for 16s for the Red Cross Fund. The needs of the St Thomas area for schools further evolved and in 1967 some pupils from John Stocker Junior Boys School, along with their headmaster, were transferred to the newly built Redhills School at the end of Landhayes Road, while the balance went to the already existing Montgomery School. The senior school became the John Stocker Secondary School at the same time. Fire struck the Dunsford Road building in October 1972; the damage was such that it had to be demolished, an insurable loss of £22,150. 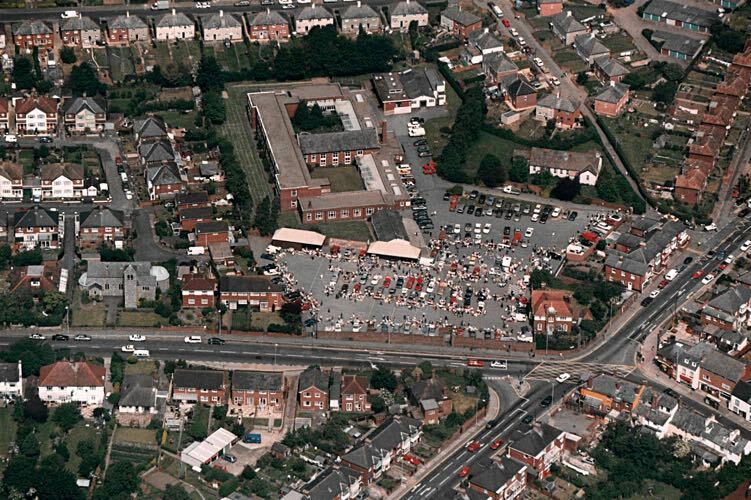 John Stocker School merged with Cowick School to be replaced by Bowhill Primary School for 372 pupils in September 2005, in a newly built complex, and the name of a man who was associated with education in Exeter for almost 70 years was lost. However, there are many former pupils of the school still around, who have fond memories of their days of education at the John Stocker School. Sources: devon.gov.uk, Western Times, Flying Post and Historical Notes on Devon Schools by Robert Bovett. The Dunsford Road School opened in 1902. Courtesy the Westcountry Studies Library. 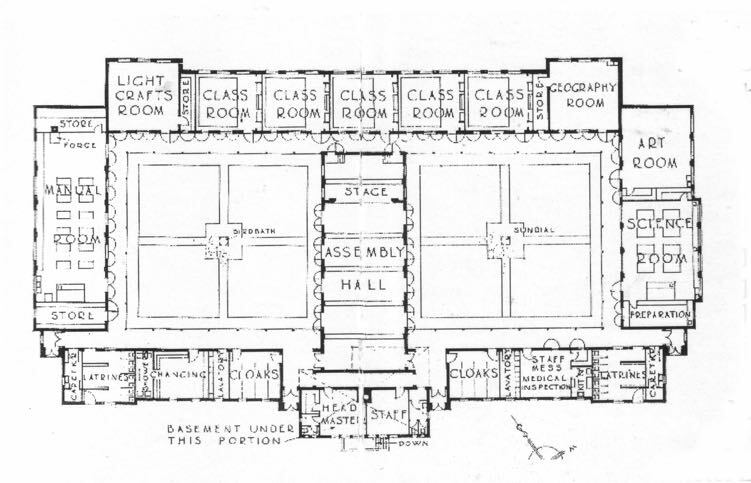 Plan of John Stocker School from 1937. The school was replaced with a new building, after a fire in 1972. It became Bowhill Primary School in 2005. A sports day for local Exeter schools. John Stocker has a score of 229. 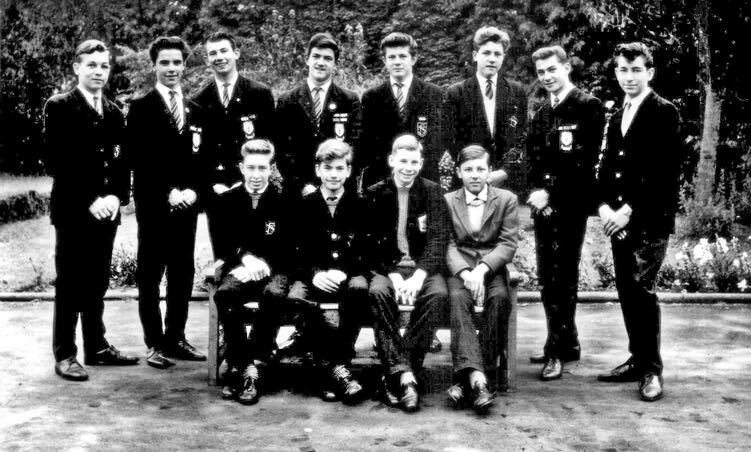 John Stocker School prefects 1963 - Back l to r: Colin Taylor, Paul Palfrey, Brian Tapley, Ken Holmes, Malcolm Heale, Pete Steer, Mike Ewings, Bill Bardwell. Front l to r: John Courteney, unknown, Rod Chalk, David Finnemore. Photo Mike Ewings. 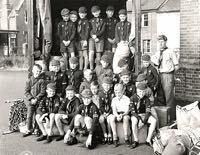 The John Stocker Cubs ready for a camping trip.